The fifth installment in Voodoo Doughnut Recordings’ “Tales from the Grease Trap” series of live archival releases from Portland’s early ’90s features the legendary noise/experimental group, Smegma. 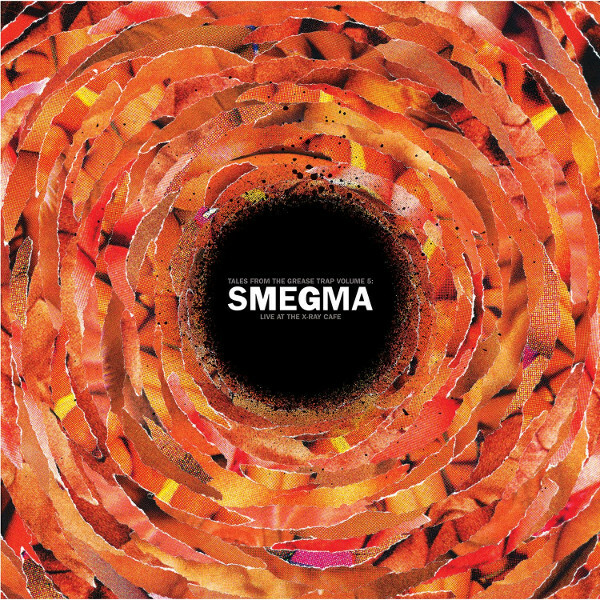 Smegma came into being in Pasadena, California in 1973, incorporating a “band without musicians” approach and attempting to explore new musical ground via the convergence of amateurism, improvisation and a proto-punk aesthetic. Their only other rule at the time of inception was “NO HIPPY MUSIC.” In 1975 Smega relocated to Portland, and simultaneously became involved with the Los Angeles Free Music Society (LAFMS). 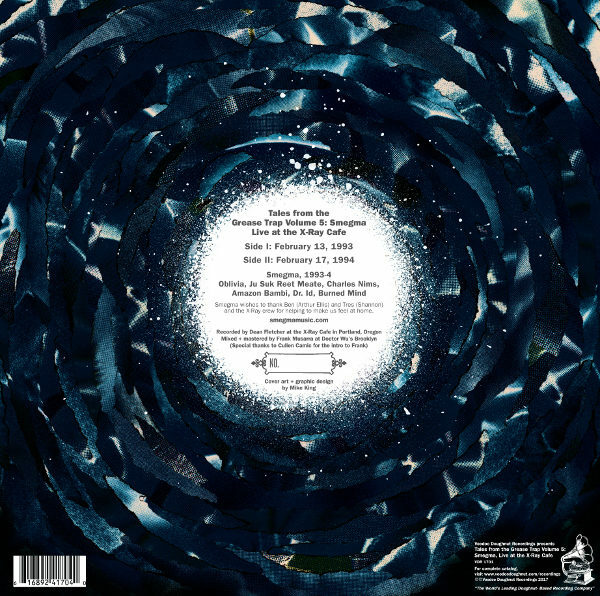 The two sides on this album, recorded on February 13, 1993 and February 17, 1994 at the all-ages X-Ray Cafe in Portland, showcase Smegma traversing uniquely fertile ground, journeying between abstract loop-based soundscapes, surf rock, Krautrock and brutal noise. The Smegma line-up at this time included Oblivia, Ju Suk Reet Meate, Charles Nims, Amazon Bambi, Dr. Id and Burned Mind. Ju Suk Reet Meate and Oblivia continue to perform around the world today as The Tenses.